In this review essay I want to share my fascination with this painting by Sir Lawrence Alma-Tadema (1836 – 1912). He was born Lourens Alma Tadema in Friesland, a Dutch northern province. He was trained as an artist in the Netherlands and Belgium. He left for England in December 1869 and never returned. He was specialized in painting scenes from Antiquity. Although Alma-Tadema was famous in England, he was not very appreciated in the Netherlands. 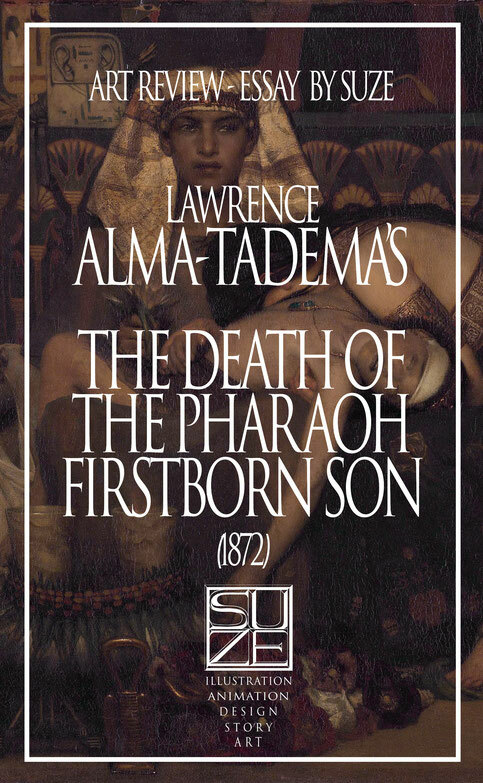 To me, Alma-Tadema sounded like a sinfully proud man, because Alma-Tadema decided that at least one of his masterpieces should be part of an important Dutch collection. Therefore, the artist bequeathed this beautiful canvas, the one he never wanted to sell and that he used to show proudly to his visitors, to the Rijksmuseum. The very same museum where I first beheld the canvas, which resulted it into becoming my favourite painting of the Rijksmuseum collection. 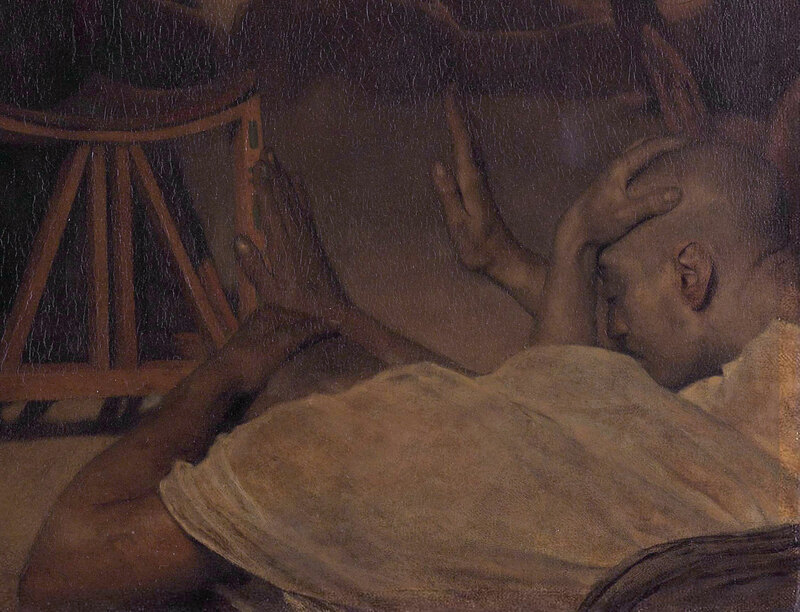 The canvas illustrates a tragic moment described from the book of Exodus, in which Mozes liberates his enslaved Jewish people from the monarchy of Egypt. The story of the nine plagues thrown upon Egypt is famous and the last plague to me the most horrible and memorable. The death of all the Firstborns. The Pharaoh held strong against God until this last plague, as it affected the Pharaoh personally. Resulting him to finally let the Jewish people free, but also resulting in the angry outlet that followed after. And that’s why I love this painting, because in a single canvas it conveys so much of the story through composition, color and facial expressions. The details, the composition and use of color are so striking, that it made me want to convey my love and fascination for each topic I just mentioned. But please keep in mind, these are my personal findings and observations without extra research into this painting by Alma-Tadema. Some information given can be completely inaccurate and I would even appreciate it when the correct information is given. The first time I saw this painting, without having to read the title, I immediately knew which story was being told and which part. I could read so much emotion and read the body language of each figure clearly as day. It also intrigued me that in this one image I could read in all the different faces signs of anger, sadness, despair, disgust, defeat, exhaustion and anticipation. When first looking at the painting, your attention is immediately drawn unto the Pharaoh. His eyes are holding back tears, while sadness and outrage are fighting over his facial expressions. There is a hint of disgust in the way he strains his lips as his gaze glances to the side. 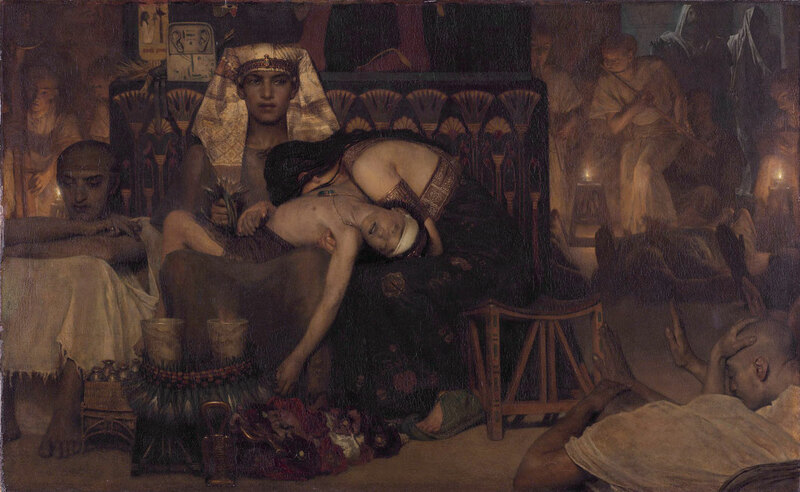 On his lap lies the body of a lifeless young boy, the Prince. In his right hand the Pharaoh holds a flower of some kind (something I myself couldn’t make out). The Pharaoh isn’t supporting the Prince due to his defeated posture. He is leaning at what seems to be a pillar while the only thing looking tense in his body are his face and his right hand clenching the flowers. On his left, a devastated Queen is supporting the upper body of the boy while holding him. She has buried her face away between her lifeless son and her husband, supporting his head on her knees, his body with her left hand and holding his hand with her right hand. 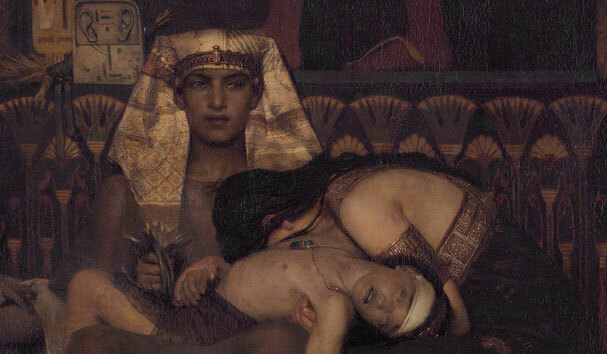 On the Pharaoh’s left sits a servant who looks absolutely defeated. I believe this person to be a physician, this because of the little bottles at his feet and little bottle clenched in his right hand. He gazes into nothing with a defeated air about him, as he failed in his duty to save and heal the young prince. More herbs and incense can be seen at their feet. In the right corner we see mourners. Most likely servants or priests who are not only lamenting the loss of their prince, but also the many catastrophes caused by the plagues. I believe them to be praying as they all lie belly down on the ground, holding their heads with their left hand and stretching out their right hand up to the royal family. 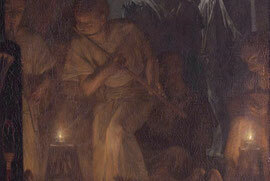 More behind the pillar, creating depth within the painting, you see candles elevated to the knees and servants surrounding them who, which seems to be playing music on pipes. Instead of musicians, they could also be priests praying to Ra. As I have no historical knowledge to know if this was a real Egyptian practise, the amount of detail so far convinces me it might be possible. 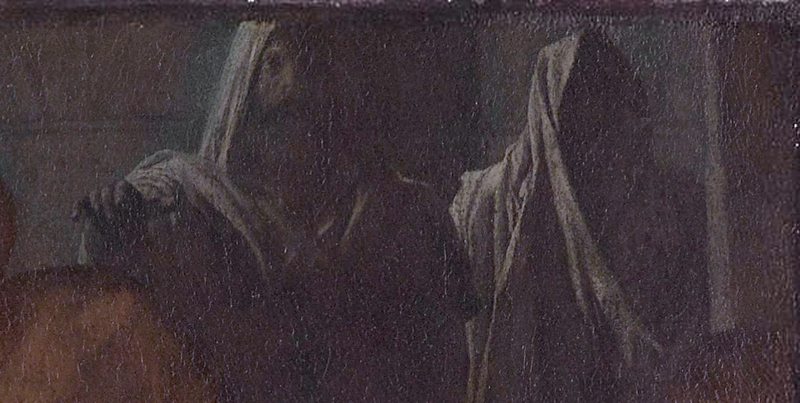 And last, but not least, in the right upper corner of the painting, you see two figures standing in a doorway. Although in the background and relatively small, they stand out with their robes and one man being bearded. And whereas the lighting in the room is warm, the light cased on the figures is cold. Like being lite by the moonlight instead of the candles. Immediately it came to mind, without a doubt, that these are Moses and Aaron coming to the Pharaoh to ask for the last time to ‘ let my people go’. And as you look closely, the bearded figure stretches out his hand towards the Pharaoh. Making your eyes move back upon the Pharaoh, who with his mixed emotions is clearly glaring at Mozes his direction. I find this composition a very Dutch Rembrandt way of storytelling. Most paintings always tends to be distant and centres the entire biblical event clearly within the painting. Usually with almost all the important figures facing the viewer with their faces clear and/or in profile. As viewed as example in this other biblical painting by John Roger Herbert “Moses bringing down the Tables of Law”, which was commissioned around the same time. But within the painting of Alma-Tadema the composition is intimately close within the room and the framing cuts of most figures which are as important to the storytelling as the main characters themselves. Even the lighting hints towards a Rembrandt inspired feel. 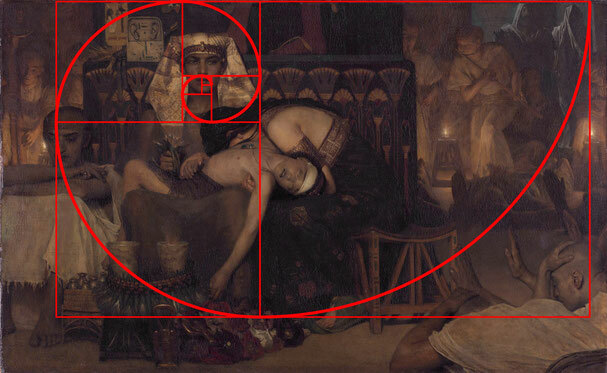 As shown above, it is also not very far fetched to state that Alma-Tadema roughly used the fibonacci spiral in his composition for this painting. 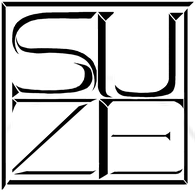 It is a technique used by many artists and helps the viewer to establish what is the main focus and what is the latter. Not saying that Moses and Aaron aren’t important in the composition, on the contrary, they are the cause of the conflict told within the painting. I claim the fibonacci spiral as theory because it was my personal observation, as described in the details, at how my eyes fell across the canvas. First my eyes fell on the Pharaoh, then the boy, followed by the Queen, the servant/physician, praying servants/priest, the musicians and lastly Moses and Aaron. 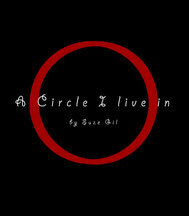 Just as the above image roughly shows with the fibonacci spiral. Which also fascinated me was the use of depth within the composition which alludes to the great scale of the room. The pillar or wall on which the Pharaoh leans on also alludes to this massive scale, because you can see of mural painting of feet (probably of a god) by which as viewer you can conclude the space is huge. And then there is the use of color which also tells the story wonderfully. As I said before, very Rembrandt inspired lighting. Although the atmosphere is dark and solemn, the inner room is warmly colored, due to the artificial candle light. Because of this lighting, the viewer can see the scene takes place at night. 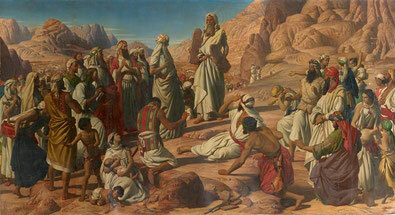 Which also is intensified when you see the cold colours in which Moses and Aron are portrayed. It is by this clever use of color clear that the two figures are standing outside from the mourning room, awaiting Ramses who has noticed their presence. It may not have been Alma-Tadema’s intention, but to me this use of contrast in color portrays the moonlight (or even say, light of God) that shines upon the two figures waiting outside. Giving me the notion that the warm candle light represents Ra, the god of Egypt. I just absolutely love this painting. The Rijksmuseum holds many great artistic marvels. But this painting is the one I always happily skip to whenever I visit the museum. I’ll stand in front of it and re-exam it over and over, to the annoyance of other visitors, time and time again. I love it enough to write an entire essay about it! Also, when visiting, I have noticed that other visitors tend to view it over very quickly, without seeing all the hidden elements with almost cinematic precision. I can only hope that whoever reads this, will look upon this painting with a new outlook on this painting, or any painting in that matter. Because, especially after the 16th century, artists add more hidden detailed elements of storytelling which gives depth to any event, portrayed within a single image. It’s a power you do not see often anymore within paintings these days, but you do see in cinema. It’s why I love the masters so much. I don't like Alma-Tadema, but I do like his work. Lots of colors!